When I made the grain free raw granola a couple of weeks ago, I knew I needed to experiment with granola bars. I am happy to say that they turned out awesome and are a favorite snack with my boys. I made 3 times this recipe amount as I usually make 3 qts. of almond milk at a time and had the pulp to use up. If you want to make a large batch send me a message on Facebook and I will give you the recipe for the large batch- it makes about 70 bars. You could store in the freezer to keep them fresh longer. 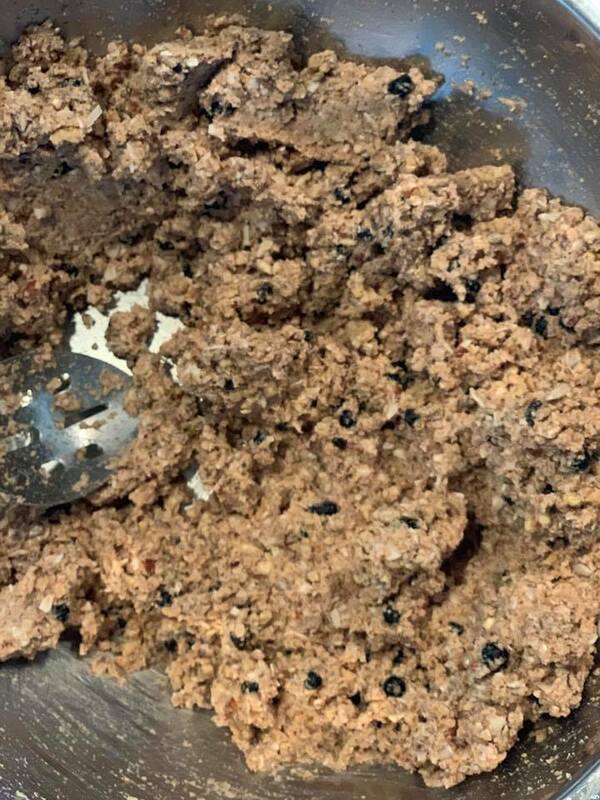 You will need a blender and a food processor. 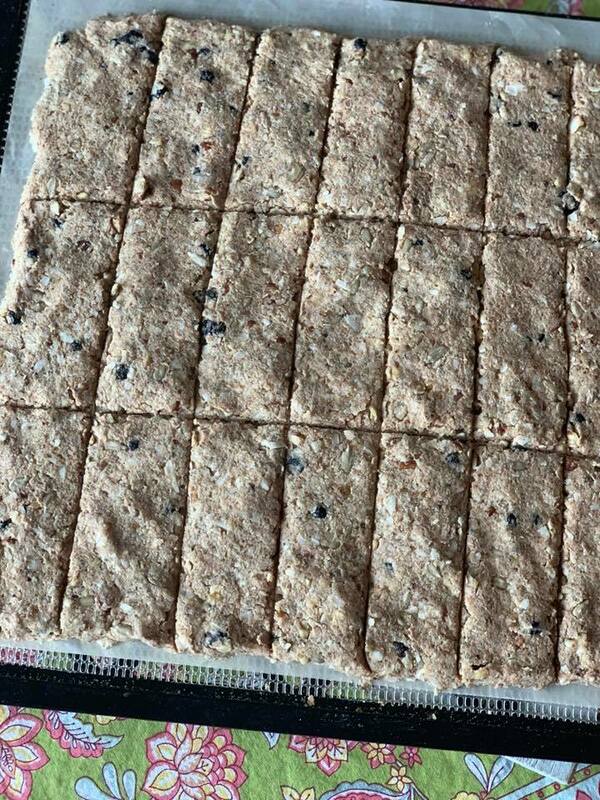 I used a dehydrator to "cook" my granola bars but you could bake it at a low temp in your oven if you wish. You will grind all the nuts and coconut in the food processor. The nuts should be broken down into smaller pieces but not turned into a powder. It is ok if it has some larger pieces in it. Keep the sunflower seeds whole. The first step is to soak your dates. While they are soaking you can work on processing the nuts and coconuts. 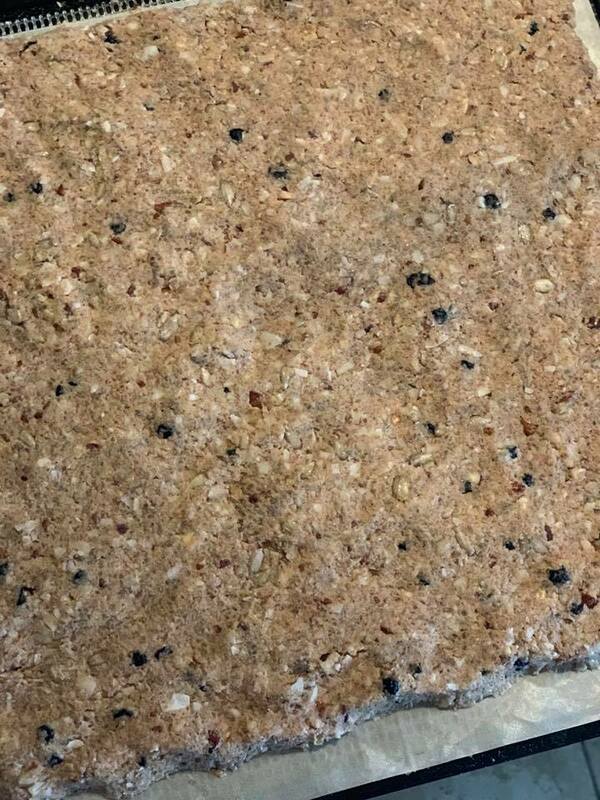 The first picture below is how the mixed granola will look like before you put onto dehydrator trays or a baking sheet to dry. You will need to make 1 qt of almond milk to make this recipe- you will use the pulp from making the almond milk in the granola bars. pit dates and put into blender with the soaking liquid from the dates with 1 tbsps of maca, lacuma powder and cinnamon, 1 tsp of vanilla. Cut into bars. Put in dehydrator at 115 degrees. When the tops are completely dry put another tray on top and flip over so that the bottoms of the bars are exposed and put back into the dehydrator and "cook" until they are dry. They took about 12-15 hours in the dehydrator. Put into an air tight container to store.